For more gold, please visit: Skywatch. And for more amazing creatures, please go to: Camera Critters. 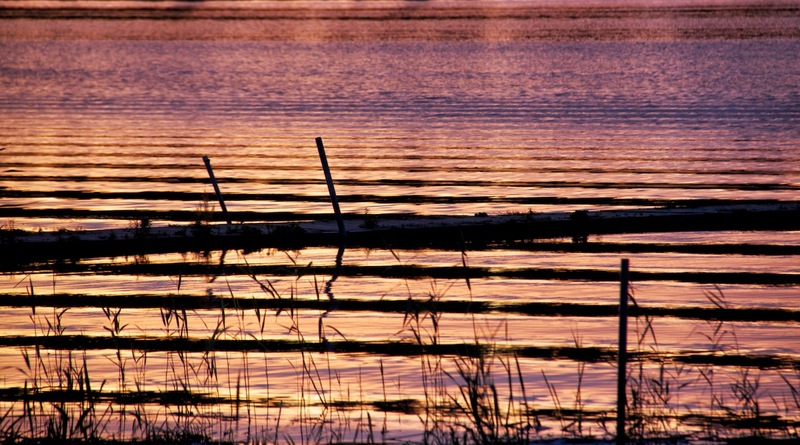 Posted in photography, SunsetTagged dogs, gold, joy, jump, lake, Nature, purple, reflections, waterBookmark the permalink. Marvelous photos of this wonderful Sunset. Amazing ! Good gracious, that doggy jumpy snap is almost beyond belief! Thanks – I was really happy with this shot. Beautiful purple and gold, gorgeous Oscar jumping, great photos! Not bad for a dog who is nearly 11 yrs old! gorgeous reflections!! i can’t image the joy that dog felt at that exact moment!! I sort of wish I was the dog! What a perfectly-timed shot of Oscar! Gorgeous colors in the sky and then reflected again in the water! I can feel the joy Oscar had as he jumped in the water. Awesome shot! OMG-you always left me breathless with your gorgeous shots! 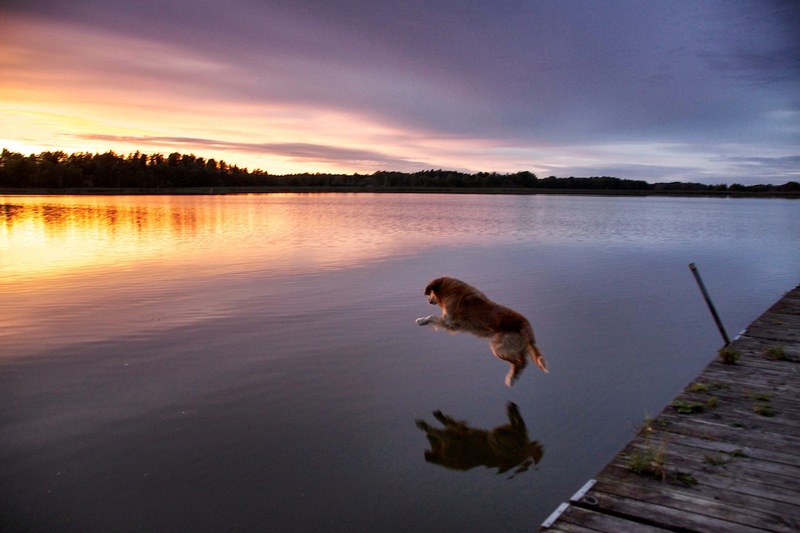 All of these photos are absolutely gorgeous, but I especially like the way you captured Oscar jumping into the lake. Beautiful, I love the shot of Oscar in mid-leap! i LOVE this!!! LOVE!!!!! LOVE!!!!!!!!!!!!!!!!!!!!!!!!!!!!!!!!!!!!!!!!!!!!!!!!!!!!!!!!!!!!!!!!!!!!! it def brings the joy….and the ripples from that angle make some really cool breaks in the colors…. Go OSCAR! What a fantastic shot and series. Awesome skies and I always love seeing Oscar enjoying his world and the water! Yes, I love ….. love…..love your post for the day, too, Fiona!! Have a lovely weekend!! Truly gorgeous captures! The jump is awesome! Gorgeous!!! And that pic of Oscar made me laugh out loud!!! I know Kelly would love to run and jump in that water with him!!! The Oscar shot is perfect! Gorgeous sky and reflections and I love the way captured your dog in the air. That photo of Oscar and his reflection just takes my breath away. Heartbreakingly beautiful! Every one of these photos is flawless! So so so beautiful! The colours are gorgeous! So great! Thank you for your visit to my place and your fun remarks! 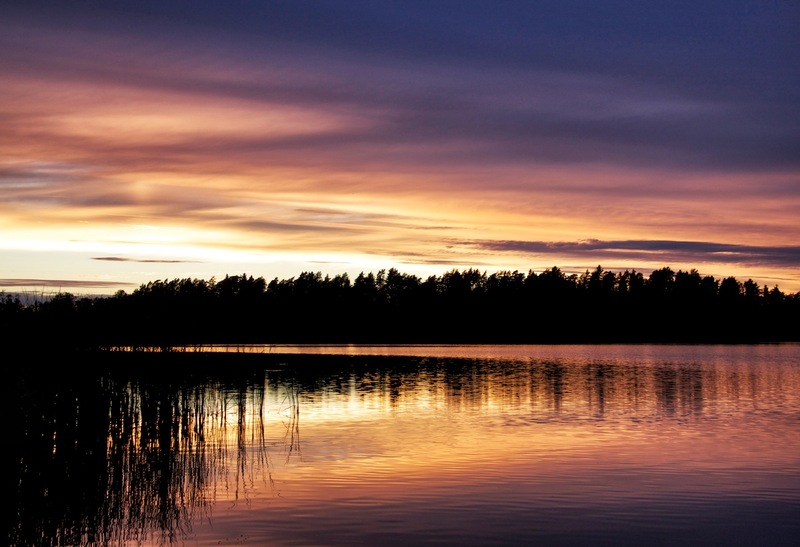 I just love your sunset and lake shots in that wonderful light! Greetings from Sandra, a Brit living in Switzerland! Stunning photos !Have a nice weekend! Stunning photos!Have a nice weekend. I love your golden sunsets, and your simple, happy dog. I am speechless. Your skies get more beautiful with every post. So does Oscar! complet awe… in the truest sense of the word… as these images are beyond words my friends… just that full, deep, infused sense…. AWE. Lovely photos, it is a perfect post for SWF! Great leap, well caught! Beautiful sunset too, the colours are stunning. Wow, gorgeous and colorful reflections! One of my favorite is of Oscar jumping in, what joy! Beautiful sky shots! These are just magic shots. What a wonderful gift, to share something so beautiful. Thank you. I was just beginning to chill out with your photos and then there is your dog jumping in! Perfect! 3 great photos with awesome composition and beautiful colours. I like your 2nd shot, perfect timing to capture the dog diving into the water. Nice reflection from the water too. I so look forward to my visits here as I always know it shall be a joyous occasion. And that is so the case today. Perfect captures – You caught Oscar at just the right moment. I love the coppery fall sky. Gorgeous as usual, Fiona. I love the richness of those hues! Gorgeous shots captured. The colors came out amazing and the frame is well chosen. And…the jump shot is in perfect timing!! Again a colourful tribute to nature! Thank you for sharing. I’ve added your blog to my bloglist. Wonderful shots with beautiful light as ever, LadiFi. The photo of jumping Oscar is stunning. Gorgeous ! the water looks like gold ! Love the dog in the air…and the golden water is beautiful. Great timing and reflection! Beautiful shots. Love the photo with the dog! Great Weekend! Your photos are always wonderful, but the ones with Oscar in them are extra special. Boy, you caught that jump perfectly! Each is beauty. Love them all. The jump shot is cool! Oscar just made my whole day. These are full of joy, wonder, peace. Thank you. That is an amazing shot of puppy! The poetic images you post are always so delightful! The jump shot is perfect! Fabulous compositions! Love the golden ripples and joyful Oscar… great timing. The sunset colors and reflections are, of course, gorgeous – as always. But they don’t come close to beating that magnificent photo of Oscar in mid-jump!!! LOVE it! What a wonderful photo of a wonderful dog! You definitely captured his joy! Such an amazingly beautiful sunset over the lake. But, of course, the highlight was seeing the dog leap in for a swim. That sunset.. and Oscar are pure gold. Just gorgeous! Three images of proof -proof still photography is far from still -take that HD Video cameras. Three images that capture the moment, the imagination and dripping in emotion. The freeze from Oscar, simply crosses over into the realm art and craft -perfecto shtufffs. Wautsi .. how wonderful images. great timing the photo with the jumping dog. I love the timing on the flying oscar shot – colours are pretty good too!! PS: sorry for slow reply – I have been out of phone / internet range for most of the week – rather nice if the truth be told! Gorgeous colours! I love the shot of Oscar jumping. OMGoodness, I LOVE that jump! Perfect timing on your part, and what a wonderful image. Thank you for the nice comment. I can’t see where to leave you a comment on your blog, but what unusual white lions! Great shot of Oscar flying in the air. He never ages! Wow! All three of these photos are beautiful! The second photo is amazing! You caught a wonderful moment in time. Your photos always are amazing. But those ones are magical! I’ve got goose bumps all over. I just love the capture of your dog mid-air above the lake! Gorgeous sunset, too!